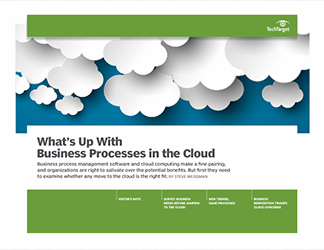 Business process management in the cloud has benefited companies looking to improve access to and contribution of company information. Some experts have gone so far as to call it the "new normal," with organizations readily taking advantage of the ability to access information anywhere. 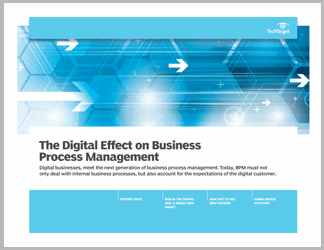 New trends -- in social business and agile business practices -- and increasingly powerful cloud platforms are shifting the focus of cloud BPM. 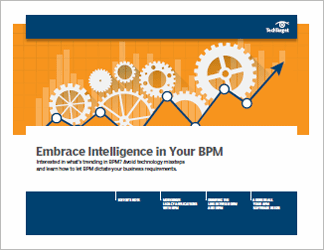 In this three-part guide, we’ll explore what those new trends mean for companies looking to adopt BPM applications. 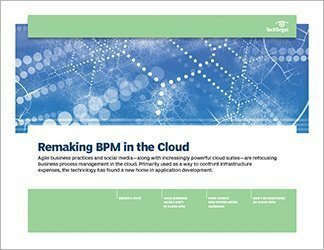 Organizations may have initially used it to relieve themselves of the burden of pricey BPM infrastructure, but they're finding new uses for the cloud. Maxine Giza, site editor for SearchSOA, takes a hard look at what those "new uses" -- including their new role as application development environments -- mean for the future of business process management in the cloud. Next, veteran IT journalist George Lawton discusses open source BPM. Domain experts are using the technology to, ideally, create business processes for specific industries. 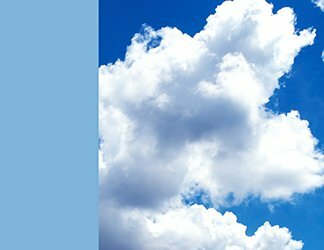 Industry observer Steve Weissman closes by offering up dos and don'ts for organizations deciding to move business processes to the cloud. First up? Do realize that a magic bullet the cloud ain't.